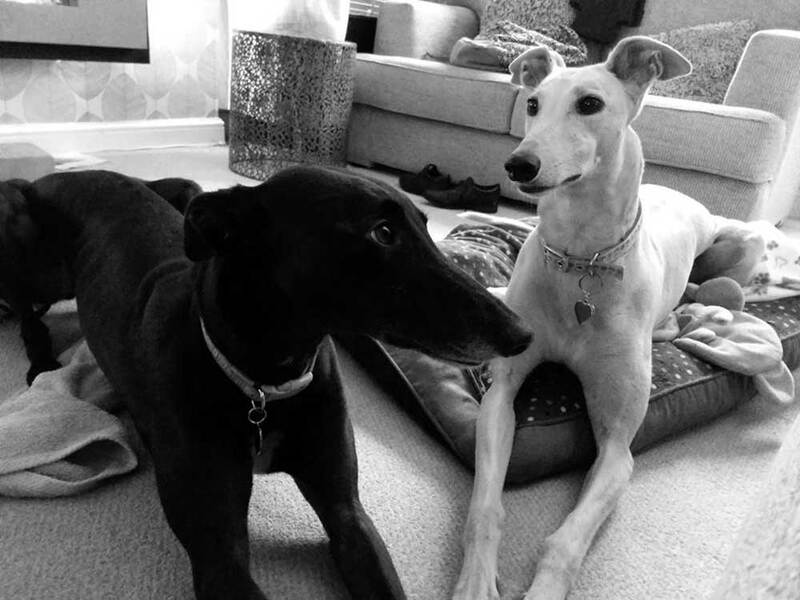 Morgan (Fawn coloured) and Majik (Black – and formerly named Katie) are two gorgeous hounds. Morgan has been with us for a year and Majik for just six weeks. They have really settled down well together. Morgan was a bit naughty and struggled to adjust to home living at first, but she is now a well behaved and loving dog. There always seemed to be something missing from her life and the arrival of Majik has filled that gap. Morgan now has a best friend who is very different from Morgan but they complement each other perfectly. Morgan is quite shy and laid back while Majik is more outgoing and curious. Morgan’s grown in confidence since Majik arrived. The most telling difference is in how they are so different at home and when out on walks. At home Morgan is quiet and well behaved while Majik can be a mischievous, playful, curious and downright nosey bottle of pop. Running off with the odd slipper or shoe is great fun for Majik. On walks Morgan is always pulling and wanting to be somewhere else while Majik is a perfect lady when out and about. There is of course one thing they do have in common. They will both get very excited when they come across the occasional squirrel when we are out on our travels. 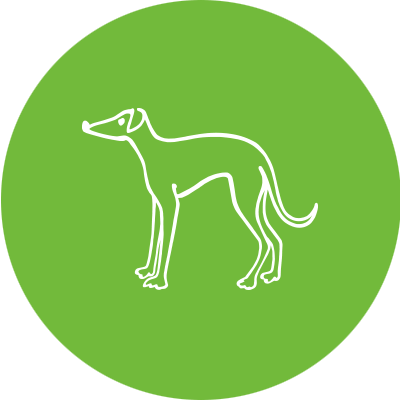 We would recommend homing a greyhound to anyone looking to bring dogs into the home. Our two ladies are very loving and affectionate and great fun to have around. They are gorgeous.